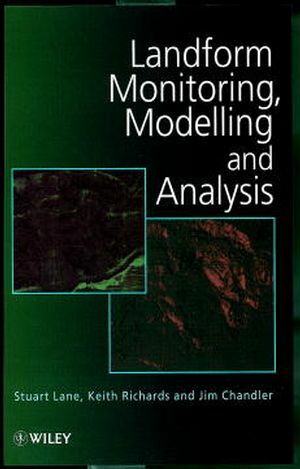 Stuart N. Lane is the author of Landform Monitoring, Modelling and Analysis, published by Wiley. Keith S. Richards is the author of Landform Monitoring, Modelling and Analysis, published by Wiley. Jim H. Chandler is the author of Landform Monitoring, Modelling and Analysis, published by Wiley. Landform Monitoring, Modelling and Analysis: Land Form inGeomorphogical Research (S. Lane, et al.). Datums, Coordinates and Differences (M. Cooper). The Global Positioning System and its Use for Terrain Mapping andMonitoring (D. Twigg). Analytical Photogrammetry for Geomorphological Research (L. Dixon,et al.). Quality, Use and Visualisation in Terrain Modelling (M.McCullagh). What do Terrain Statistics Really Mean? (I. Evans). The Effect of GIS Interpolation Errors on the Use of DigitalElevation Models in Geomorphology (S. Wise). Landform and Lineament Mappling Using Radar Remote Sensing (C.Vencatasawmy, et al.). Image Analysis of Aerial Photography to Quantify the Effect of GoldPlacer Mining on Channel Morphology, Interior Alaska (D. Gilvear,et al.). Terrain-based Approaches to Enviornmental Resource Evaluation (J.Wilson & J. Gallant). The Role of GIS in Watershed Analysis (D. Montgomery, etal.). A Generalised Topographic-Soils Hydrological Index (R. Lamb, etal.). Terrain Information in Geomorphological Models: Stability,Resolution and Sensitivity (P. Bates, et al.). The Use of Digital Terrain Modelling in the Understanding ofDynamic River Channel Systems. (S. Lane). Mass Balance and Flow Variations of Haut Glacier d'Arolla,Switzerland, Calculated Using Digital Terrain Modelling Techniques(I. Willis, et al.). The Transient Snowline on Glaciers: Topographic Controls andImplications for Melt Predictions (O. Turpin, et al.). The Use of Terrain Analysis in the Evaluation of Snow Cover Over anAlpine Glacier (L. Copland). Coastal Management and Sea Level Rise: A Morphological Approach (J.Pethick). Geomorphological and Hydrodynamic Results from Digital TerrainModels of the Humber Estuary (J. Hardisty, et al. ).